A soft yet hardworking blend of 75% Blue Faced Leicester and 25% nylon. This yarn can be machine washed at up to 30°C - however to keep your yarn and finished item looking as good as possible for as long as possible we do recommend hand washing. If you do decide to machine wash your garment please take time to check a sample first. We've tested this yarn in our machine (an Indesit) with Ecover detergent and it was fine - but machines and detergents do vary so please check before committing a finished garment to the washing machine. 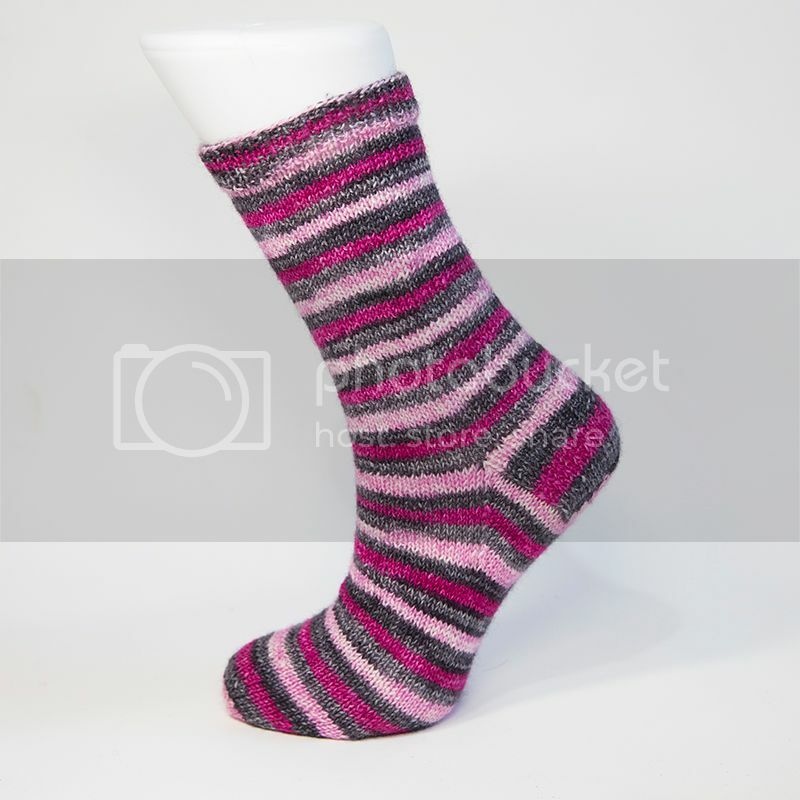 The sock shown was knitted on 64 stitches and 2mm needles, and there are 3 or 4 rounds of colour in each stripe.